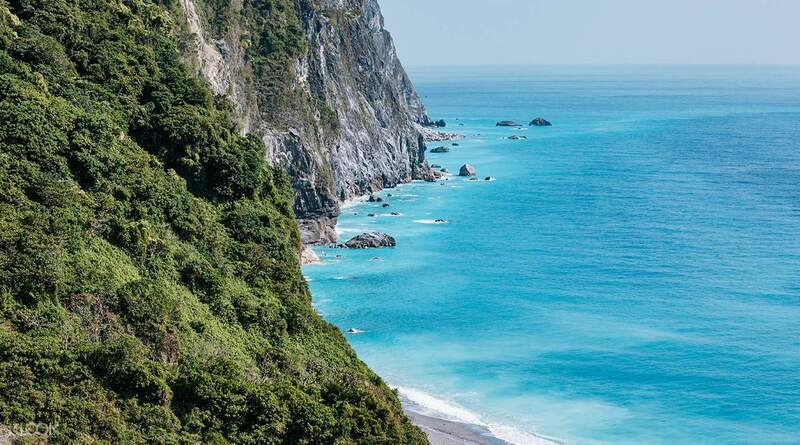 Take a private day tour to what is arguably Taiwan's most scenic destination, Taroko National Park. 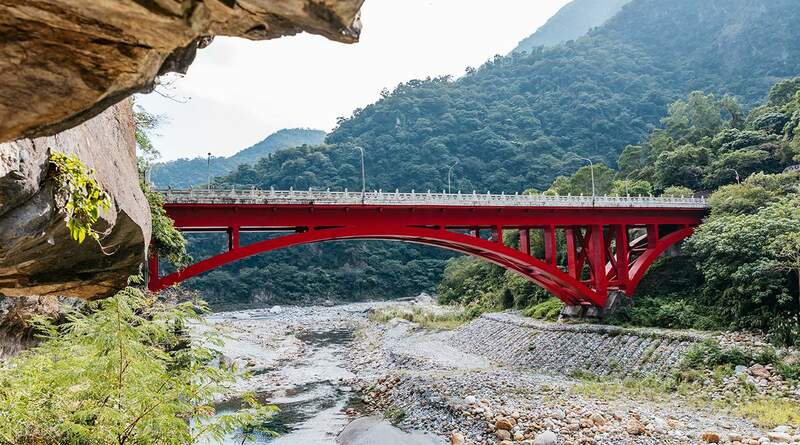 Showcasing a diverse range of nature and wildlife: travel from rugged coast, to luscious forest, to the dramatic cliff faces of 19km Taroko Gorge. Delve into the heart of the park at the Swallow Grotto Trail, interspersed with tunnels and the best viewpoint for overlooking the narrowest part of the gorge, where the river is at its most dramatic. 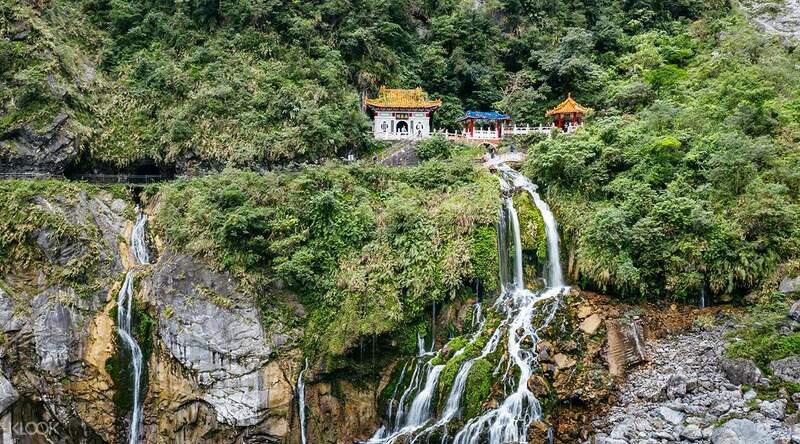 After lunch in scenic Tianxiang, you'll visit the Changchung Shrine (or the Eternal Spring Shrine), a beautiful temple nestled within the hillside, atop a waterfall stream that supposedly never stops running (hence the name of the shrine). Before ending at Qixingtan, famed for its pebble beach and fantastic views of the Pacific Ocean. How do I even begin? There was an earthquake with 6.1 richter during our visit. Our friendly and funny driver, Pan, did a good job in prioritizing our safety. He stopped our bus in the middle of the bridge in Taroko to avoid rocks falling (there were 2 tourists who got injured there according to the news). He kept apologizing to us that he had to skip the shrine due to safety issue although it’s not his fault at all. Good job, Pan! How do I even begin? There was an earthquake with 6.1 richter during our visit. Our friendly and funny driver, Pan, did a good job in prioritizing our safety. He stopped our bus in the middle of the bridge in Taroko to avoid rocks falling (there were 2 tourists who got injured there according to the news). He kept apologizing to us that he had to skip the shrine due to safety issue although it’s not his fault at all. Good job, Pan! The driver/guide was very friendly. He tried his best to talk to all the people. He's very knowledgeable of the point of interest and also hualien as a whole. 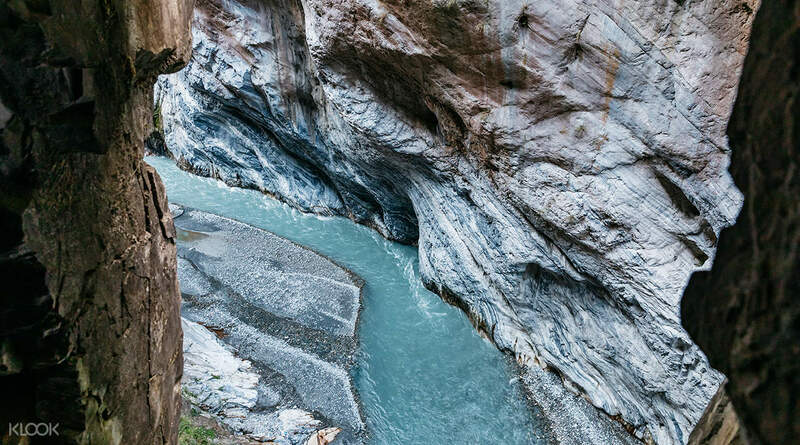 This tour is very convenient for those who want to explore Taroko National Park because it's massive. I was fortunate enough that it didn't rain as much as I expected when going to the park. When the tour came to an end, the driver offer to send us back to our Airbnb. However, we ask him if he can alight us near the Golden Triangle Shopping District. He was very kind of him to agree with us. I can say that this is the best tour I ever had. Overall, it was a wonderful and memorable tour. The driver/guide was very friendly. He tried his best to talk to all the people. He's very knowledgeable of the point of interest and also hualien as a whole. 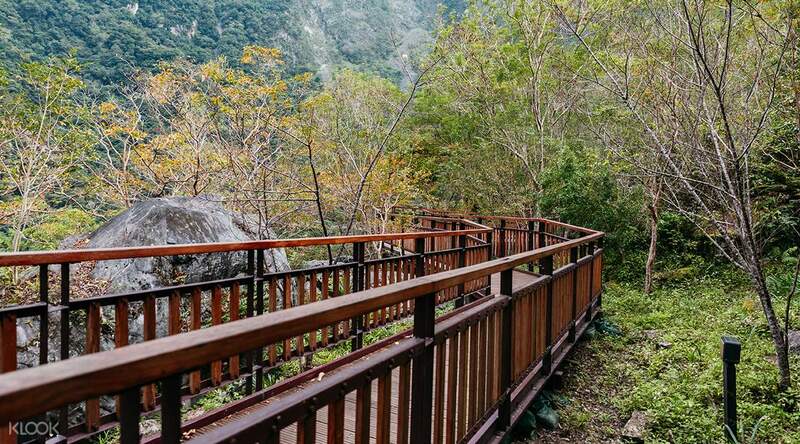 This tour is very convenient for those who want to explore Taroko National Park because it's massive. I was fortunate enough that it didn't rain as much as I expected when going to the park. When the tour came to an end, the driver offer to send us back to our Airbnb. However, we ask him if he can alight us near the Golden Triangle Shopping District. He was very kind of him to agree with us. I can say that this is the best tour I ever had. Overall, it was a wonderful and memorable tour. Well organized tour. Unfortunately, our driver did not speak English. But I am very sure that if we understood Mandarin, he is a very good guide, really friendly too. I made a lot of friends in the tour, they even translated from Chinese to English. Lunch is also delicious. Taroko National Park is very beautiful. Definitely a must-see in Taiwan. Well organized tour. Unfortunately, our driver did not speak English. But I am very sure that if we understood Mandarin, he is a very good guide, really friendly too. I made a lot of friends in the tour, they even translated from Chinese to English. Lunch is also delicious. Taroko National Park is very beautiful. Definitely a must-see in Taiwan. Weather wasn’t the best. However, our tour guide 老周 tried to change the order of the places to visit first. He is very knowledgeable and know a lot about the places. He is also very dedicated to his job, making the trip an enjoyable one. Weather wasn’t the best. However, our tour guide 老周 tried to change the order of the places to visit first. He is very knowledgeable and know a lot about the places. He is also very dedicated to his job, making the trip an enjoyable one. I enjoyed it got the one without the lunch had a lot of food around to choose which made me think it’s better not to have the lunch option. The scenery seems “ fake “because it just looks too beautiful and unreal! The sea and the sky is one of the best with such a fresh air. Snapped many pictures and as I am not a athletic I don’t think I can make it on my own as the driver would always drop us near so we don’t walk so much which I wouldn’t be able to do if I got their on my own ! Thank you ! I enjoyed it got the one without the lunch had a lot of food around to choose which made me think it’s better not to have the lunch option. The scenery seems “ fake “because it just looks too beautiful and unreal! 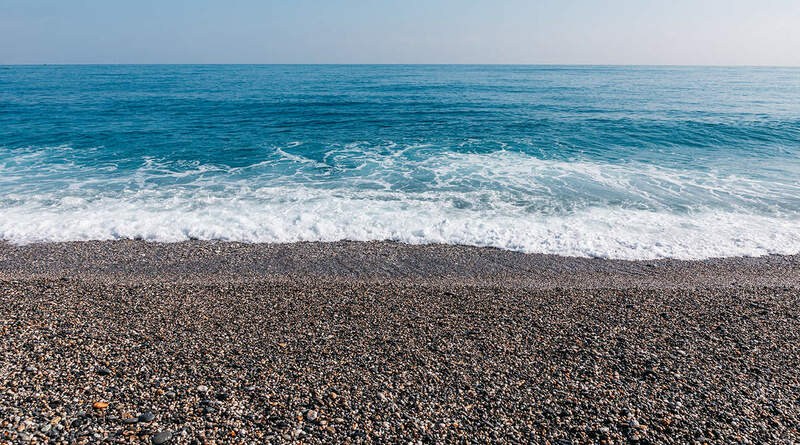 The sea and the sky is one of the best with such a fresh air. Snapped many pictures and as I am not a athletic I don’t think I can make it on my own as the driver would always drop us near so we don’t walk so much which I wouldn’t be able to do if I got their on my own ! Thank you ! Amazing. I think this was the best day trip i have ever experienced. Our tour guide was very enthusiastic on explaining the details, with a little hindrance because he only spoke chinese but we were lucky for there was someone who was able to translate the details for us. One of the highlights of this day trip was the lunch because the curry that was served was so delicious that for someone like me who does not eat curry that much was able to eat everything on the plate. We were able to get a clear view of the Pacific Ocean and other attraction around Hualien. Another thing that made me so happy about this trip was that we were right on time. Our guide did not let us wait and made sure that we were comfortable and happy. Amazing. I think this was the best day trip i have ever experienced. Our tour guide was very enthusiastic on explaining the details, with a little hindrance because he only spoke chinese but we were lucky for there was someone who was able to translate the details for us. One of the highlights of this day trip was the lunch because the curry that was served was so delicious that for someone like me who does not eat curry that much was able to eat everything on the plate. We were able to get a clear view of the Pacific Ocean and other attraction around Hualien. Another thing that made me so happy about this trip was that we were right on time. Our guide did not let us wait and made sure that we were comfortable and happy. We eaasily found our tour driver, a very nice elderly man, again on time. We were a small group of six in the tour, which makes the trip more relaxed and enjoyable. ALthough our guide can't speak English, he was able to communicate and he really tried and gave extra efforts to explain, sonetimes through a couple of guests who readily interpreted for him. We were able to visit all the places in the itinerary and it was so cool. We eaasily found our tour driver, a very nice elderly man, again on time. We were a small group of six in the tour, which makes the trip more relaxed and enjoyable. ALthough our guide can't speak English, he was able to communicate and he really tried and gave extra efforts to explain, sonetimes through a couple of guests who readily interpreted for him. We were able to visit all the places in the itinerary and it was so cool. Best tour ever! There's only 2 of us on the tour despite of the number of participants, the tour still commenced. Not advisable if you want English tour because its all in Chinese but they have English Audio while on the bus! Must grab the whole day activity rather than the half day. Worth the money! Best tour ever! There's only 2 of us on the tour despite of the number of participants, the tour still commenced. Not advisable if you want English tour because its all in Chinese but they have English Audio while on the bus! Must grab the whole day activity rather than the half day. Worth the money! There were only two of us during the tour, so the exclusivity was nice. Language barrier is real but we managed to have a good tour nonetheless, thanks to the other tourist who can speak little english and little mandarin and to google translate. The guide speaks some english, but struggling; while i don't speak mandarin at all. he was still able to provide fun facts on the attractions. the itinerary is great, and the scenery is more beautiful in person. There were only two of us during the tour, so the exclusivity was nice. Language barrier is real but we managed to have a good tour nonetheless, thanks to the other tourist who can speak little english and little mandarin and to google translate. The guide speaks some english, but struggling; while i don't speak mandarin at all. he was still able to provide fun facts on the attractions. the itinerary is great, and the scenery is more beautiful in person. Q: Do you provide tours with an English speaking guide? A: Sorry currently we don't provide English speaking guide service but we do provide an English guide program on iPad instead. This program introduces the main tourist sites. If you would like to reserve an iPad guide, please let us know at checkout. Q: Why do I have to provide my passport number?